Mattress reviews are an important tool for making one of the more important purchases of your life. If you are going to spend money on a new mattress, a little research will go a long way to ensuring that your money is well spent and that you are getting a good value for the long term. Think about the amount of sleep you get each night. Most adults get between six and eight hours of sleep. Over your entire lifetime, you will spend more time on your bed than any other item of furniture in your house. The Loom & Leaf mattress costs a little more than the average memory foam mattress—but most Loom & Leaf mattress owners say it's well worth the price. I believe it's a great choice if you have your heart set on getting a memory foam mattress but want to avoid most of the problems that come with memory foam. Of course, memory foam definitely has many sleep comfort advantages and is a popular mattress material—but it's also notorious for its disadvantages. 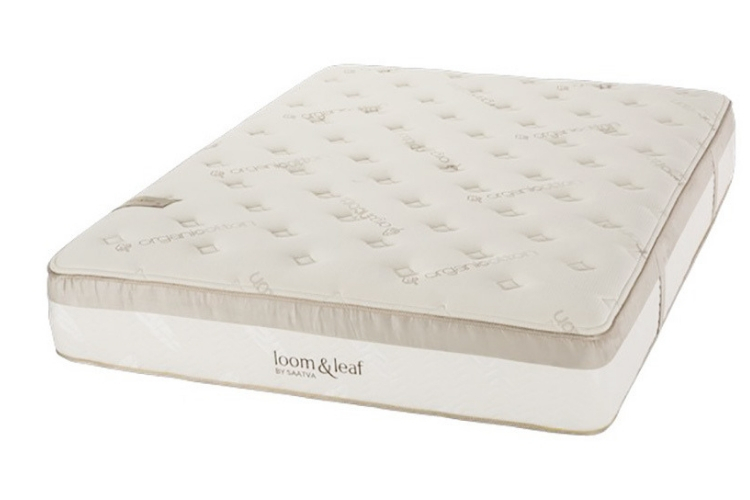 But Loom & Leaf is not your ordinary, average memory foam bed. It's designed and built with features specifically designed to minimize those annoying memory foam issues. And sleepers agree that issues like sleeping hot, being hard to move around on and smelly chemical odors are much reduced. It's also constructed with some materials—such as organic cotton and plant-based foam—that may be friendlier to our environment. The biggest question mark about this mattress is its longevity. It was only introduced in 2015 and we simply don't have enough data to know just how durable it is yet. And although it's certainly a popular and well-designed mattress, it's not perfect for every body. The real advantage of the Spindle mattress is its adjustable comfort which gives you an easy way to create different feels. 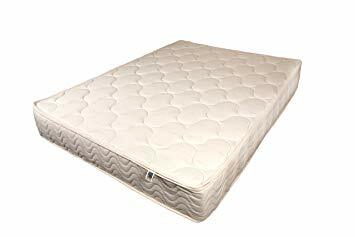 It's made of three 3-inch layers of latex foam that you can set up in 24 different ways until you find the comfort combination that works best for you. This provides flexible options and allows you to adjust the firmness and comfort by rearranging layers until you find your specific comfort preference. And if you're still not happy, Spindle will replace (within the first year) one of the layers with a firmer or softer layer of latex foam. I think the Spindle mattress is an excellent choice if you want a comfortable, long-lasting and all-natural mattress. It's made of natural materials: 100% natural Dunlop latex, an organic cotton case, and Eco-wool batting inside the zip cover. Which means no artificial chemicals and no bad odors or smelly fumes. Latex is a durable mattress material that stays cool and has a longer lifespan than other types of foam. The Spindle is also reasonably priced which makes it more affordable than most all-latex beds on the market. Some assembly required: The main downside is you have to assemble the mattress yourself. Spindle does not offer full service delivery—the mattress components are shipped in three boxes and you put the latex layers together in your home. Why Are Bed Mattress Reviews Important? Why shouldn't you just go to the store and buy the first one that looks good? Even though houses and cars are more expensive than beds, you will spend more time in bed than in your car. At the same time, beds have more impact on your health and well being than a house or a car. You won't find people complaining that they are feeling run-down and achy just because they drive a used car. The same can't be said for a mattress. You really can't compromise on your mattress purchase. With a good mattress your chances of finally getting that elusive good night's sleep filled with sweet dreams is much better. Without one you could possibly exacerbate joint and back pain and even feel chronically fatigued. There is no reason to compromise your health and comfort. Most mattresses you purchase will last you for at least ten years. Some mattresses will even last thirty or forty years with good treatment. They don't go out of style and you will always use it. It is not so much a purchase as an investment. Since they are an investment, don't expect to get a good night's sleep on just any cheap mattress. Many mattresses are expensive. That is because they are employing the latest technology and costly materials. Today there are many different types from which you can pick even before you start to compare mattress brands and models. They are: inner spring, latex, memory foam, waterbed, and air mattresses. 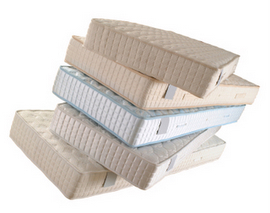 Each of these types of mattresses varies in firmness, durability, price, and ease of use. Each type has its benefits and drawbacks. Reading through objective mattress comparisons will provide you with the facts about each type. You could go to the mattress company's website to find out about memory foam. But they manufacture that kind of bed and will only tell you the good things. Look for sources of unbiased reviews. The next reviews you are going to want to read are about specific manufacturers and brands. Look at what other consumers are saying about comfort, durability, price, and firmness. Reading candid consumer mattress reviews is probably the best thing that you can do before you make your mattress purchase. Even negative reviews will be useful to you. Once you have decided which type and brand of mattress is right for you, a good idea is to go to a store to compare mattresses. It is very important to lie down on mattresses in the showroom before you choose one. Don't feel shy about taking off your shoes and lying down; that's why the mattresses are there. Lie on the bed for at least five minutes each in the positions that you most often sleep in. See if you feel any pressure on your joints. Test how easy it is to get on and off the bed. If you share your bed, go with your partner so you can both lie on it together. After reading lots of mattress reviews and doing an in-store mattress test you can either purchase it from the store or from an online retailer. You can usually find a better deal online. After you read a wide variety of mattress reviews and compare mattresses in person, hopefully you will find yourself with a wonderful bed at a reasonable price that will give you years of great sleep. All Rights Reserved. No Reproduction Allowed. This website is for information purposes only and is not intended to substitute for medical advice and has not been evaluated by the FDA or AMA. For medical advice always consult a physician. Mattress Wiz is a participant in the Amazon Services LLC Associates Program, an affiliate advertising program designed to provide a means for sites to earn advertising fees by advertising and linking to Amazon.com.